Architecture@16, an annual publication from BCI Asia recently featured both Marine Terrace Station and Bayshore Station of the Thomson-East Coast Line. 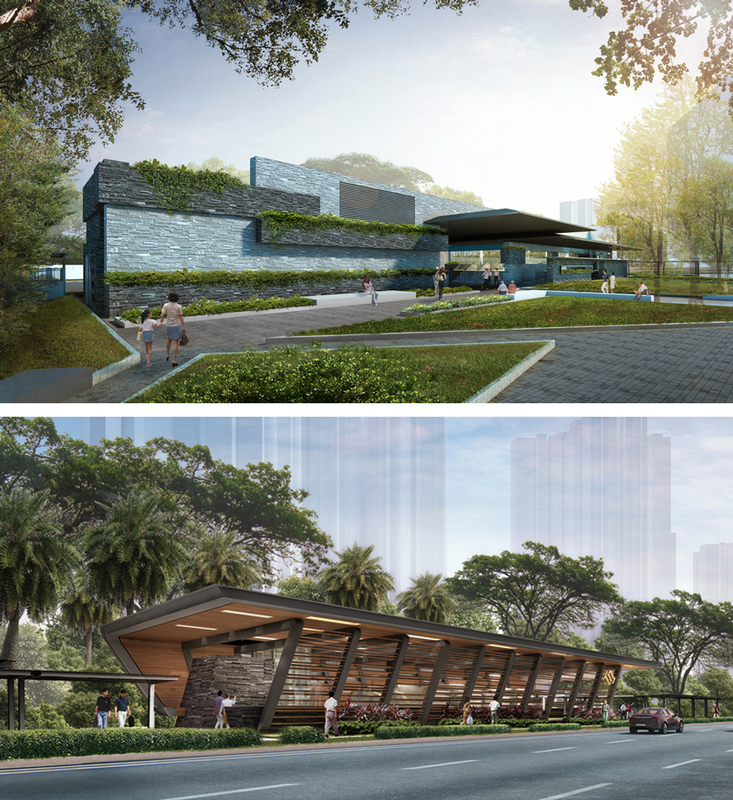 These two stations are scheduled to commence construction this year. The Thomson-East Coast Line (TEL) connects eastern Singapore with the city centre and will serve 1 million commuters daily. Contextually sited in Singapore’s eastern region that epitomises idyllic seafront living but is under threat of dense developments, a concientious approach was adopted towards the design of the architectural forms as one that does not impose on the site, retains the site character and brings out the latent qualities of the site. Marine Terrace Station entrances were conceived as layers of planter walls to frame key views towards the inconspicuous town garden. Slowing down the pace of commuters and providing them a space for respite will transform the town garden into a convivial urban space. Bayshore Station entrances were designed to extend and celebrate the canopied experience of the existing boulevard of trees. The facade consists of an alternation of solid and void to recreate the rhythmic experience of light and shadow through the canopy to elevate the commuting experience.